2018. Watercolor, ink, color pencil. 7¾" x 6½"
This piece was inspired by a couple of friends of mine. 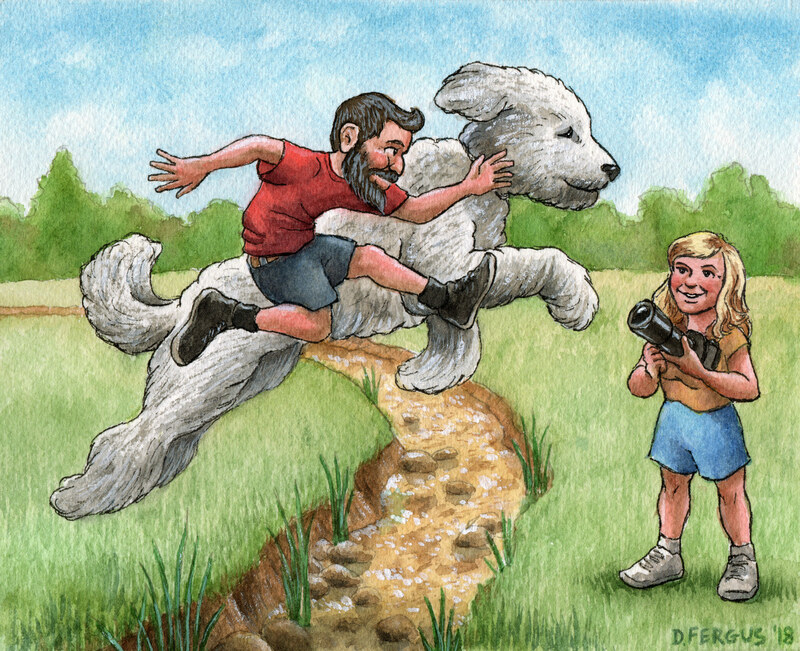 Chris Cline has made a name for himself on Instagram with his Calvin and Hobbes–inspired photo illustrations in which he appears with a giant version of his dog Juji (@christophercline). His partner Chirstine is an accomplished photographer in her own right, who specializes and landscapes and nature scenes (@dreaming_big_mn).